Browse: Home / UpPwn – A script that automate detection of security flaws on websites file upload systems. 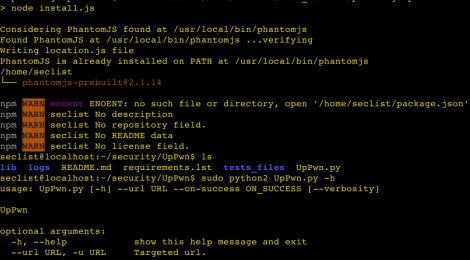 UpPwn is a script that automate detection of security flaws on websites’ file upload systems. In some cases it also allows to exploit these vulnerabilities in order to upload malicious files. Testing is done only with GNU/Linux Ubuntu 16.04, 14.04 LTS stable and Debian Jessie. ← C# code for Backdoor Payloads transfer by DNS Traffic and Bypassing Anti-viruses.